As human beings with blind spots, leaders make mistakes and others suffer from them. This first article in a series on leader blind spots addresses The Superhuman Complex, the first of three illogical beliefs that cloud leaders’ vision. The recent $1.8 billion judgment against the SAC financial firm is an example of what happens when leaders lose sight of their strategic vision and become blind to their reason for being in business–their mission. It shows at how their leaders were in the grip of the Superhuman Complex. The SAC’s agreement to pay a $1.8 billion penalty is only one example of top-level errors. There are many more. A New York Times report shows how wide-spread leaders’ blind spots are. That is, there have been 70 convictions for top-level malfeasance since 1999. In other words, the top leaders of some of the best known brand names in business have shown their blind spots—JPMorgan Chase, Arthur Anderson where 28,000 employees lost their jobs; Enron; hedge fund maven Raj. Rajaratnam and his friend Rajat K. Gupta, former head of McKinsey & Company; Bernard Madoff; Michael R. Milken; and Drexel Burnham Lambert, to name a few. “You’re saying personal blind spots were blocking these leaders’ vision?” Yes. But you’re still wondering how I can be so sure. Maybe I have my own illogical belief, but I believe these leaders would not intentionally set goals, form plans, and ask for advance board approval to pay millions and billions in penalties, waste years of their life in court proceedings, pay millions to attorneys, lose credibility with their customers, cause the total failure of their business, and eventually end up in jail anyway. No, these leaders’ blind spots were so strong they took few steps to avoid them and probably did not see the enforcement officers coming after them. These leaders had not intention to waste money, years, and lives recovering from their mistakes. They had fallen in love with themselves and locked arms with the Superhuman Complex. Does this make these leaders bad people? Probably not. First of all, it makes them human. Second, they were terribly naïve to think they could hide their mistakes and avoid prosecution. Third, they probably were blind to the real-world consequences of their actions. In general, the blind spots driving leaders to fail in their choices, actions, and ventures can sort into three categories of illogical belief. Of course, at different times, under different conditions, these beliefs are present in us all. Leaders are of special concern here, though, because they have much broader influence over the welfare and well-being of the rest of us. Leaders’ choices and actions can win wars. They can also lose wars. Their choices can bring prosperity to us all. Unfortunately, their choices can bankrupt us, as well. Most leaders suffering this delusion believe they are special, can do no wrong, and are not subject to the same limitations as other humans. Some, in the extreme, may suffer from chronic arrogance, or even worse, from a neurotic narcissism. They exaggerate the value of their successes and use them as evidence of their right to take ever bigger risks with others’ lives and resources, becoming ever more self-indulgent and self-centered with each accomplishment. They attribute their success to themselves and to themselves alone, and fail to give credit to the many others who have worked to help them be successful. When frustrated, these leaders feel contempt for those who could suffer, and even for those who try to get them to think of potential negative consequences. They commit unethical or illegal acts and then excuse their poor judgment by believing they will be able to get away with violating laws, and if caught, pay only small penalties. Treating penalties as only another cost of doing business, they may even make sure their financial projections are budgeted for the cost of fines. They believe judges, juries, and regulatory agencies will make exceptions for them due to their reputation, size, clout, or connections. They justify their actions by claiming they are serving higher purposes such as patriotism, the down trodden, economic stability, or something else. Or, like the NSA, they might tell themselves the shady actions they take will remain confidential and no one will ever know the difference. For example, Edward Snowden spied on the agency spying on the world, the US National Security Agency (NSA). The NSA was fudging on the law and spying on personal electronic transactions–phone records, bank records, internet searches, and so on–without the permissions of the courts and regulators, and for the higher purpose of preserving national security. Through their use of electronic encryption, intimidating their staff and contractors with threats of treason, and up-front employment contracts, the NSA adopted the illogical belief their actions would stay top-secret. They held on to this belief at the same time as they were breaking through the very complex encryption codes of large, private financial institutions and high-tech companies, to copy their customer data. One day a young contractor, Snowden, proved their assumptions wrong. They did not control and hide all of their manipulations from him. They believed he would be so intimidated by their culture of secrecy and patriotism he would never violate it. Then Snowden, for whatever personal reasons he might have had, took the NSA secrets and shared them with China, Russia, and others unknown. Today the NSA is trying to explain themselves to a troubled Congress and President; the President is trying to explain himself to the world’s leaders. For the NSA, the Superhuman Complex has betrayed them. Questions for reflection: Share your answers in the comments section below. 1. What is the first clue that tells you a boss, leader, or client is in the grip of The Superhuman Complex? 2. How have you seen leaders behave when they are in this state? 3. What methods have you found useful for managing your relationship with bosses, leaders, and clients when they are in the grip of this complex? Upcoming: The Second Illogical Belief – The “I know enough,” Syndrome. 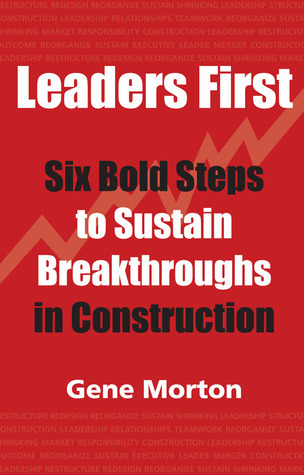 This entry was posted in Leader Development, Leadership Structure and tagged Blind spots, Construction leadership, Effective leadership, Leadership Skills. Bookmark the permalink. I read your blog on the Superhuman Complex. No one really knows where this knowledge comes from but surely both the Greeks and Romans borrowed ideas from Egyptians and vice versa. Your friend is right on the spelling hybris (hubris). Behind hubris is the ego. This is a double edged sword. You need ego to accomplish extraordinary tasks and goals. However, there is a point when the driving ambition of the ego to accomplish these goals that the person believes they on the level of the gods. It is at this point it becomes a blind spot. Their success blinds them, think of Wal-Mart right now. News has it they are not the store they once were in building the enterprise, and if they keep feeding their greed, then we may be seeing the beginning of Wal-marts demise. Only history will tell. Of course, hubris is all over the political realm right now and part of the reason we can get nothing done. The political realm represents the body politic. In other words the enemy is US. Ordinary people locked into their perspective to the exclusion of others exhibit hubris; they don’t have to be leaders. It is in times of great uncertainty that hubris manifests most. Aristotle derived hubris from Sophocles play Oedipus Rex. Oedipus was the smartest man to answer the Sphinx’s riddle who was creating a famine on Thebes. Times of great uncertainty. Oedipus needed his ego and ambition to gin up the courage to face the Sphinx. Then he thought what a good boy am I I can do no wrong which was the genesis of his blind spot and did some pretty horrendous things. Ambition — a double edged sword. Randal: Thank you so much for showing some of the history in this exploration of leaders’ blind spots. Your perspective makes this whole discussion richer. The leaders I’ve seen most hamstrung by their own blindspots are those that have never failed. Many men, in particular, move up steadily, even meteorically, in organizations because they have just the right stuff at a particular time– the perfect look, bright and personable, enough technical expertise to shine in their early days and then an aura of golden boy as they are pulled higher and higher. Then, one day, they find that they need skills of accurate self-assessment, including honest recognition of their weaknesses, and the ability to listen to the people around them who know what they don’t, about their impact, their effectiveness, and the organization/environment. Sadly, too many distinguish themselves at this point by progressively underperforming into flat career trajectories or, as you point out, Gene, spectacularly delusional flaming crashes. It doesn’t have to be this way, but the “good young/old boy” network– an unconscious framework shared across the organization — both militates against the hard work of self-reflection and elevates the myth of perfect managerial traits in a mutually reinforcing spin. These guys are not actively stupid, they are probably more dizzy from their ride to the top. I like your emphasis on “self-assessment” which I take to include personal reflection and learning from past experience, and the experience of others. On another note, I think the “flaming crashes” are most often those publicized by the media, for example, the mayors of Toronto and San Diego which appear to be some most recent flame outs. Thanks so much for your comments. Kit, what a great last sentence. Like the cap on a bottle or the lid of a can. While reading your article I was reminded of those leaders who become entrepreneurs. Failure is a very popular topic in entrepreneurial ventures. It happens so often. And most of these leaders who strike out on their own seem grateful for what they learned from their failures. In fact, they sometimes seem to even celebrate them. What you have described sounds like leaders who have not failed, or at least been protected in some way. Their loss is the valuable lessons to be gained from making mistakes and having to take responsibility for them. Please be sure to share your piece around. It is a great to-the-point reminder for leaders.